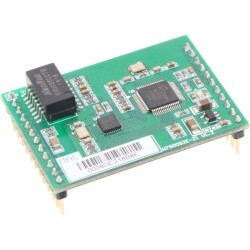 The ‘Serial to Ethernet’ (S2E) Products are gateway that converts UART (TTL, RS-232 or RS-422/485) protocol into TCP/IP. 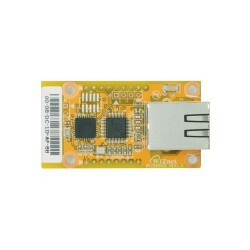 It enables remote gauging, managing and control of TCP/IP devices through an UART serial interface. 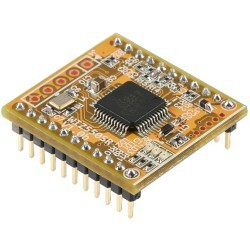 WIZnet S2E module supports wide range of pin header types and hardware interfaces. 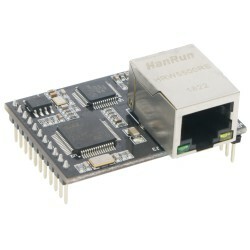 Serial-to-Ethernet Module There are 30 products. W5500S2E-Z1 is an industrial-grade serial-Port Ethernet module, supporting TCP Server, TCP client and UDP three kinds of operation mode, serial port baud rate of up to 1.152Mbps, and support computer configuration software, also it can be easily configured through Web pages by AT commands. 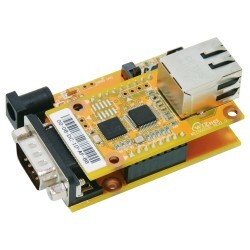 W7500S2E-Z1 is an industrial-grade serial-Port Ethernet module, supporting TCP Server, TCP client and UDP three kinds of operation mode, serial port baud rate of up to 1.152Mbps, and support computer configuration software, also it can be easily configured through Web pages by AT commands. 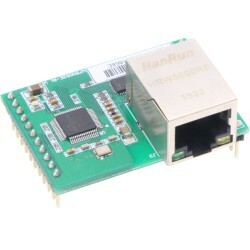 W7500S2E-R1 is an industrial-grade serial-Port Ethernet module, supporting TCP Server, TCP client and UDP three kinds of operation mode, serial port baud rate of up to 1.152Mbps, and support computer configuration software, also it can be easily configured through Web pages by AT commands. 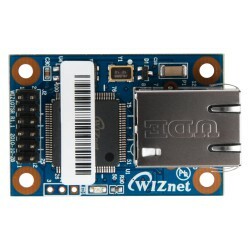 WIZ550SR is Serial to Ethernet module, It's mounted TCP/IP chip W5500 of WIZnet and Cortex-M3-based STM32F103RCT6 of STmicro. WIZ550SR does not contain RJ45 because very small size type. 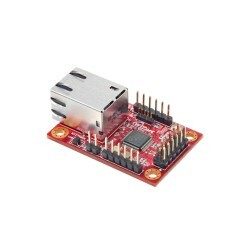 WIZ550SR provides the user Interface 2.00mm Pitch Pin header. 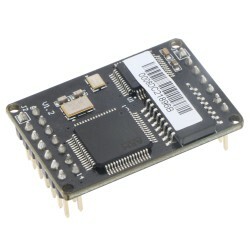 WIZ750SR is designed in the form factor with pin header, including pins and RJ-45 connector. 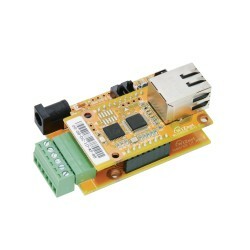 An ease of use serial to Ethernet modules build-in W7500P MCU which is based on Cortex-M0. 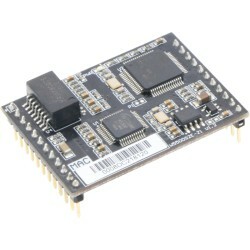 WIZ550S2E is the serial to Ethernet module using W5500 & Cortex-M0 MCU. WIZ550S2E is the protocol converter that transmits the data sent by serial equipment as TCP/IP data type, and converts back the TCP/IP data received through the network into serial data to transmit back to the equipment.